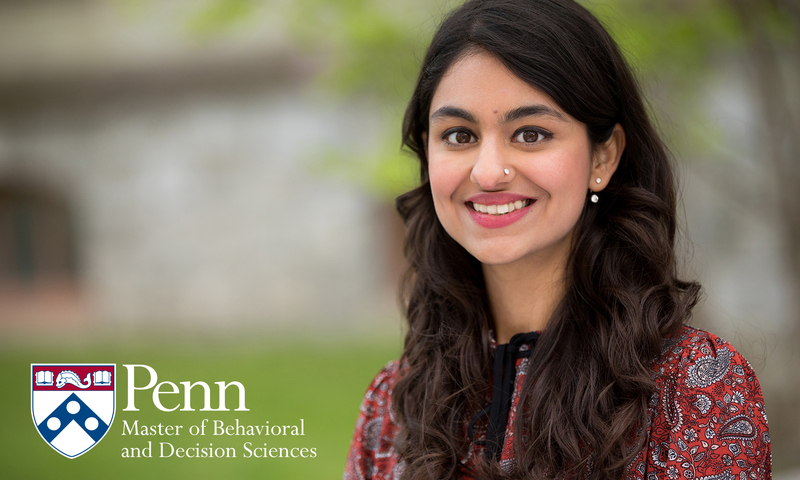 The Master of Behavioral and Decision Sciences (MBDS) at Penn equips students with theoretical and practical tools to address a variety of real-life problems. Sakshi Ghai and Francesca Papa, two graduates of the program’s inaugural class, became interested in the problem of deterring dishonest behavior—and the solution took them all the way to Florence, Italy. Francesca and Sakshi traveled to Florence to present their preliminary research findings at the International Meeting on Experimental and Behavioral Social Sciences organized by the Nuffield Center of Social Sciences at the University of Oxford. They further worked on the project and recently presented a development of the study at the 2018 Norms and Behavioral Change Workshop at the University of Pennsylvania. “We are quite excited to follow the direction of our research,” Francesca notes.